Unicompartmental arthroplasty of the knee, also known as partial knee replacement, refers to a type of arthroscopic knee surgery that is confined to treat damage limited to one compartment of the knee (rather than the entire hinge joint, as in total knee replacement). In a unicompartmental arthroplasty surgery, the damaged and unhealthy area of the knee is replaced with specially made prosthetic parts. The healthy remaining part remains untouched, allowing the natural hinge joint anatomy to be preserved as much as possible while eliminating the pain caused by the damaged areas. Steven W. Meier, MD is the founder and director of Meier Orthopedic Sports and Regenerative Medicine. He specializes in technologically and medically advanced treatments of joint injuries. Please call his office to learn more about joint surgery or schedule a consultation! You can reach us at 310.736.2793. Many unicompartmental arthroplasty patients also report that the results feel like they are “more natural” than those who have had a total knee replacement, who often report that their replacement joint does not feel very natural. Who Is a Candidate for Unicompartmental Arthroplasty? Good candidates for partial knee replacement typically include those with advanced osteoarthritis who have exhausted the available nonsurgical options. However, in order to have a reasonable expectation that this procedure will help you in particular, your arthritis should be confined to one of the three compartments within the joint. Patients who have conditions such as ligament damage, serious stiffness of the joint, or inflammatory arthritis (which is usually generalized and causing damage throughout the entire joint), are often not good candidates, and their pain and function would not be much improved after a partial knee replacement. The best way to determine if unicompartmental arthroplasty is the right knee surgery for you is to contact a qualified orthopedic surgeon for a thorough examination and recommendations for surgery. To determine if you are a good candidate for unicompartmental arthroplasty, Dr. Meier will look at a combination of medical history, physical examination, and imaging tests. 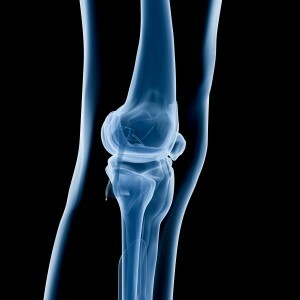 The most common imaging tests for knee damage are X-rays and MRI scans. X-rays let your doctor see the bones and joints clearly, while MRI gives the doctor a closer look at the soft tissues, such as muscles, tendons, and cartilage. The procedure itself for unicompartmental arthroplasty usually lasts about two hours, and begins with the surgeon making an incision in the front of the knee. The surgeon will remove the knee’s damaged parts, and affix the prosthetic parts at the end of the femur (upper leg bone) where it meets the tibia (shin bone), and atop the tibia itself, so that these special pieces act as smoothly interacting surfaces, replacing the worn-out, inflamed, and damaged portions of the knee that were previously causing pain. While patients often may experience less pain after partial knee replacement than total knee replacement, because less of the normal joint anatomy is interfered with, there may still be a lot of swelling. Patients will need to be educated on a specific rehabilitation plan and postoperative protocol. They will need crutches for a period of time after the surgery, and will have to be committed to icing and using specialized equipment at home in order to ensure the best possible result for return to function of their knee. Regular daily activities may typically be resumed within three to six weeks after surgery. Q: How is it possible to only replace part of the knee? A: There are three major compartments in the joint. These are the medial compartment, the lateral compartment, and the patellofemoral compartment. Because joint arthritis can occur in any one of these, it is now possible to replace only the specific compartment where the arthritis is present. Q: What is the difference between unicompartmental arthroplasty, partial knee replacement, partial knee resurfacing surgery, and unicondylar knee replacement? A: They are all different names for the same type of procedure to definitively treat knee pain and damage confined to only one joint portion. Q: What are the materials in the knee replacement made of? A: The prostheses that are implanted during the surgery are made of special metal and plastic parts which are designed to simulate the smooth gliding of a healthy joint, and keep the painful bony areas from coming into contact with each other, thereby reducing pain and increasing function. 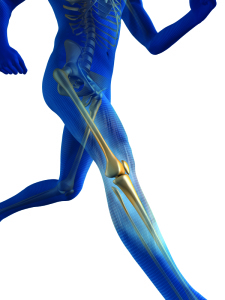 Are you suffering from traumatic injury joint damage or osteoarthritis? If the condition is present in only one part of the knee, you might be eligible for an alternative to total joint replacement. Visit medlineplus.gov for more information about partial knee replacement or contact Dr. Meier today to schedule your consultation and find out if unicompartmental arthroplasty is a good option for you. You can reach us at 310.736.2793 or send us an email. Now learn about Torn Meniscus.